Posted Jan 31, 2018 by Eds. 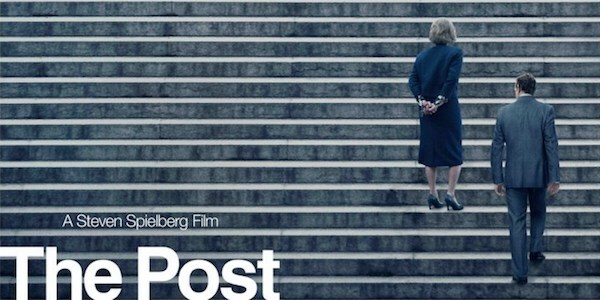 The Post is not exactly an anti-war movie, Ellsberg is not a main character, the peace movement is just rabble scenery, and the major focus is split between journalism’s struggle against government and Katherine Graham’s struggle against sexism. But we are in fact told in this film that the Pentagon Papers documented decades of official war lies and the continuation of mass-slaughter year-after-year purely out of cowardly unwillingness to be the one to end it. The Post leaves Ellsberg looking like the hero he is and Robert McNamara looking like the Nazi he was. And I’m left to complain that I have nothing to complain about. The second Post article –- by Dana Milbank — urged Bush to hurry up and argue for an attack on Iraq before opponents of such an attack raised their voices too loudly. The headline was, “White House Push for Iraqi Strike Is On Hold: Waiting to Make Case for Action Allows Invasion Opponents to Dominate Debate.” While the article did touch on some of the opponents’ arguments, it mainly focused on arguments about how best to persuade the American public and European politicians to support a war. The Post’s ombudsman column on the same day was titled “Covering the War Before it Starts,” and lamented the Post’s biased coverage in favor of attacking Iraq. Unfortunately, this admirable observation was overshadowed by three much longer op-eds on the next page.